Asheville North Carolina is rapidly becoming a major player in the craft brewery scene, but it also includes a few distilleries - which is not surprising considering it's Appalachian location. 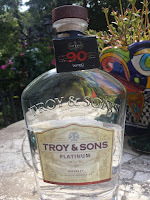 One of these is Asheville Distilling Company and their Troy & Sons brand. In 2008, owner Troy Ball started researching local moonshine recipes both in person and through the North Carolina State Archives. Her goal was to recreate the "keeper" moonshines - smooth with little to no burn. Once perfecting her recipe she opened the distillery in 2011 with the brand name incorporating her three sons: Marshall, Coulton, and Luke. 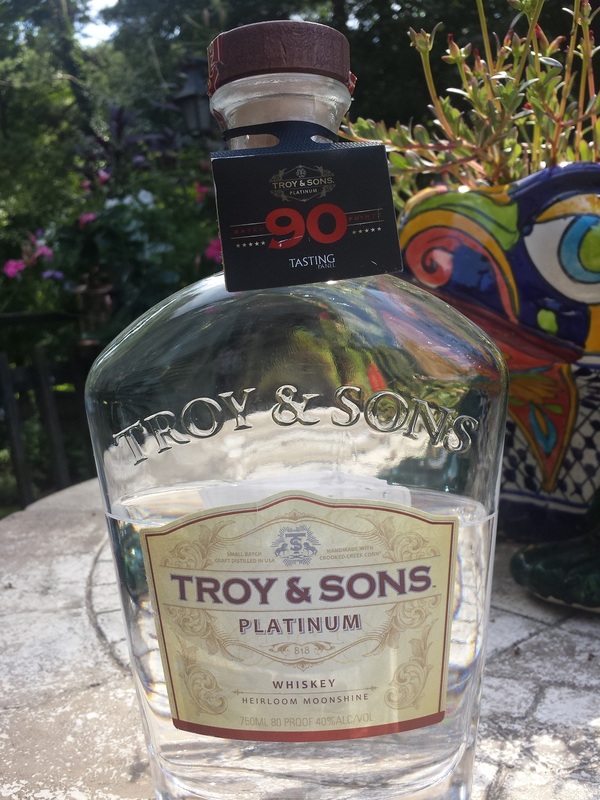 The Troy & Sons Platinum ($32) is 100% corn whiskey uniquely made with Crooked Creek Corn, an open-pollinated heirloom white corn, that is grown locally in the mountains of Western North Carolina. In fact, the corn was first farmed by earlier generations of the same family in the late 1700’s. After testing, it was recognized as an heirloom variety thought to be lost in the mid 1800's. As expected of a "keeper" moonshine, this whiskey is very smooth and starts with lightly toasted caramel which persists alongside stone fruits and Christmas spices. Very complex. And very appealing.